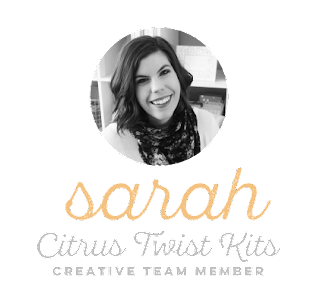 One thing that's amazing about the Citrus Twist Kits is that you always get a big handful of both labels and die cut shapes. Have you ever wondered how you can use them up in a fun way? One way that I like to use my stash of something up is to use a bunch of one thing to create a background for my TN spreads. The repetitive nature of different shapes and colors can create a really unique and fun pattern background! 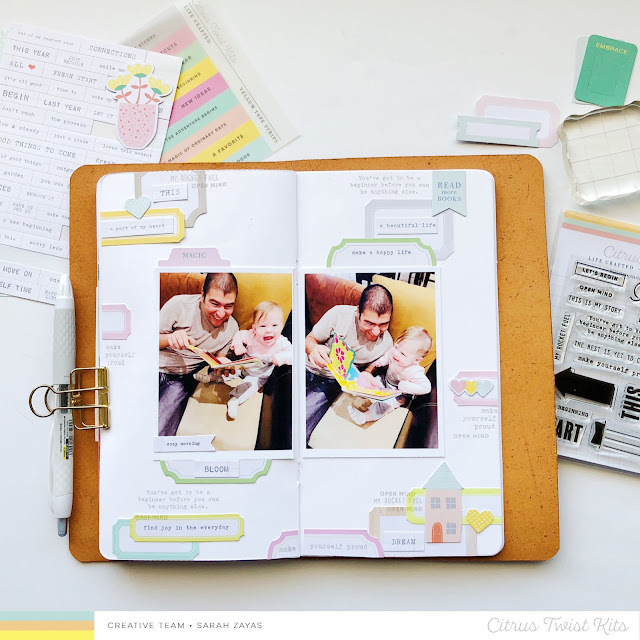 For this layout I used two 3x4 photos and placed them toward the middle of my notebook. From there, I slowly added in labels, placing them down in a somewhat random pattern, making sure that I was adding a similar amount of labels in each area of the page to balance things out. To make sure my labels didn't look like they were floating around the page, I made sure to tuck some under my photo, layer labels on top of each other, and have some labels hang off the side of the page. To add more color onto my page I layered some die cut shapes on top of my labels. 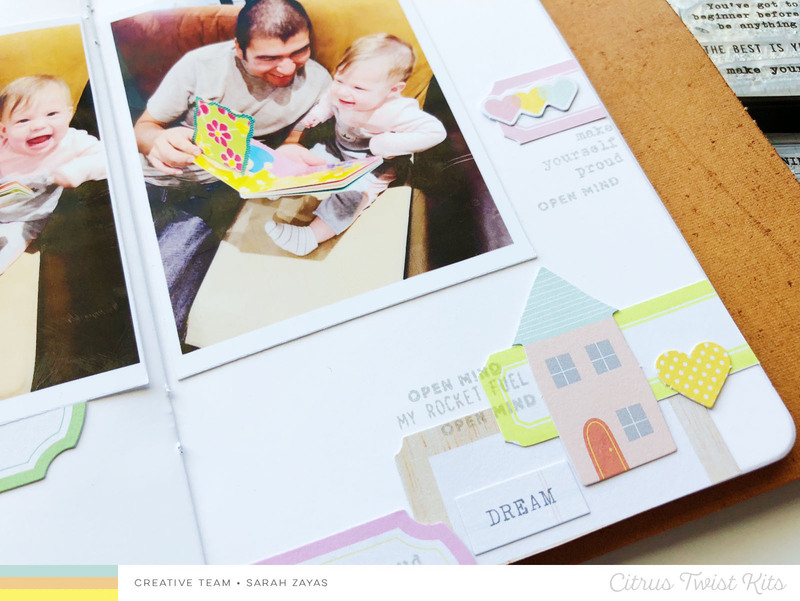 I loved the little houses and hearts that were in this month's Fresh Start Life Crafted kit! To finish off my page I did some random stamping, keeping the stamps close to my labels, again to avoid that floating look. 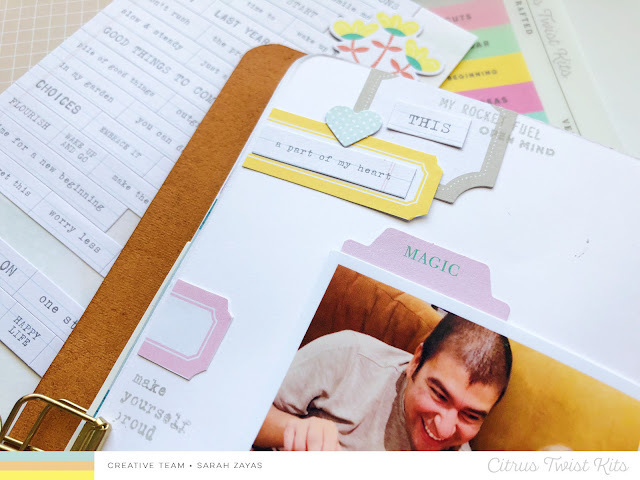 I love how the stamping acts as both an embellishment and as journaling here! There you have it! 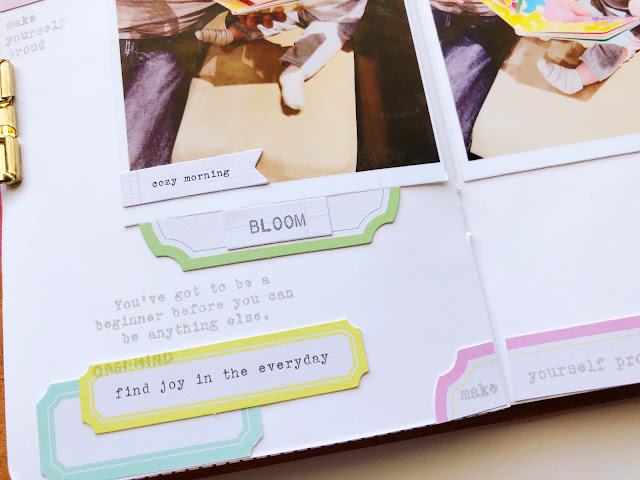 A simple way to use up some pieces that you might have an abundance of in your crafty stash. Hope you'll try this out!